This Thursday London was ripe with previews. 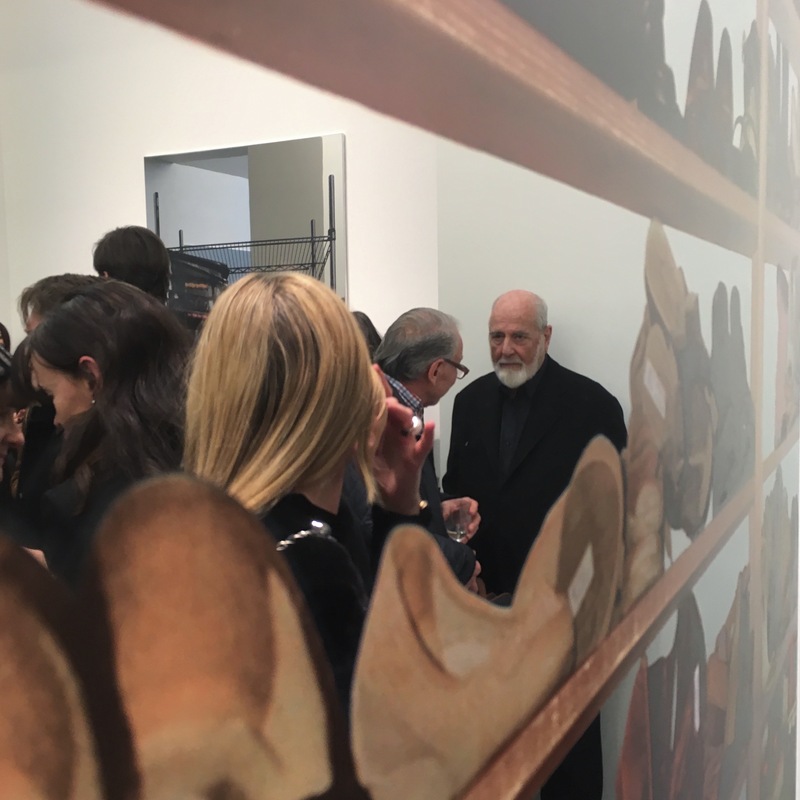 One of the most exciting was the opening of Michelangelo Pistoletto’s Scaffali at Simon Lee. I had seen the same works at Luhring Augustine in New York last November but had missed the exciting energy an opening charges pieces with. 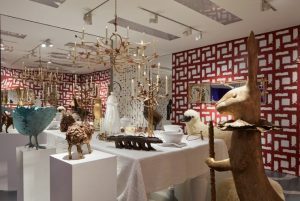 To fully immerse myself in the world of the pioneering artist, often referred to as the founder of Arte Povera, prior to the opening I went to the National Portrait Gallery where director Nicholas Cullinan hosted a conversation with Pistoletto himself. The talk was beautifully orchestrated. As Cullinan went through a slideshow covering over 130 works chronologically, Pistoletto discussed his career and artistic growth. Although his body of work is varied, comprising performance pieces and sculptures, Pistoletto is best known for his mirror paintings. He sees these as one continuous work stretching out, recording his life. The journey towards the mirror matches Pistoletto’s search for artistic identity. He started by developing the figure of a silhouette, on increasingly more reflective backgrounds: gold, silver, laminated black and finally clean mirrors. As he spoke of this, I could not help but draw connections between his use of mirrors and that of Lee Ufan. 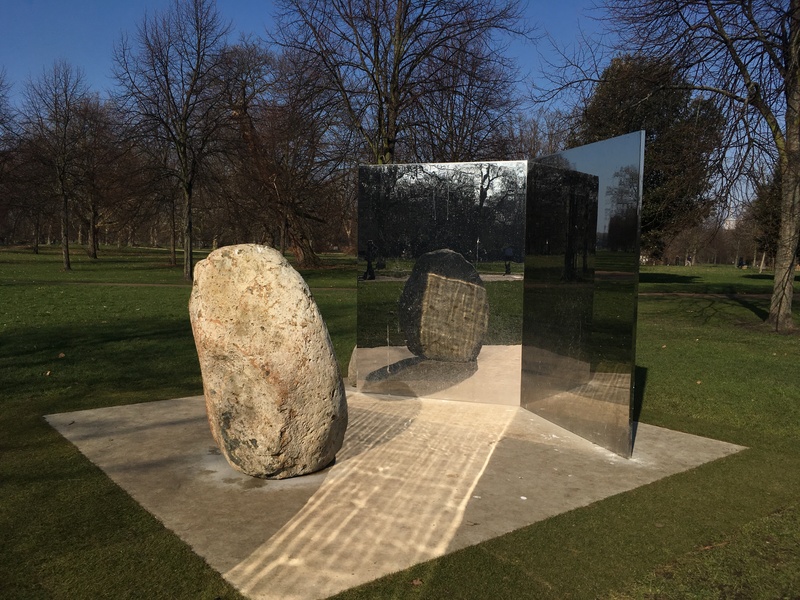 On 6 February I saw Lee Ufan in conversation with Hans Ulrich Obrist to mark the opening of Ufan’s new public sculpture at the Serpentine, Relatum – Stage. 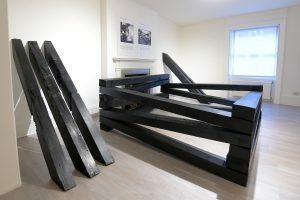 Ufan, as an exponent of Japan’s mono-ha movement, is interested in portraying the world as is. In placing man-made materials, such as mirrors, next to elements, for instance stones sourced in Wales, Ufan seeks to define art as a casual encounter between the natural and artificial. During the talk he referred to Pistoletto and the arte povera movement in Italy developing contemporaneously to mono-ha. Both artists use mirrors and reflections to create a stage, one where the viewer is an integral part of the work. Lee Ufan’s sculptures are often abandoned in environments, as is the case with Relatum – Stage, leaving us free to walk around them, observe them as if they were melting into their surroundings. Pistoletto, on the other hand, places us in a scene with his silkscreen figures. The mirror paintings only exist when we find ourselves reflected in them and, as Pistoletto pointed out in conversation, represent the meeting of three temporal dimensions – past (the silkscreen), present (our transient reflection) and future (carrying our memory of the work with us). For those familiar with Pistoletto’s works, Scaffali is unmissable. Unlike his previous mirror paintings, comprising figures and often leaving a significant amount of free reflective space, in the Scaffali series Pistoletto obstructs us. We are placed behind different shelves, as an incredible shift in perspective occurs. Pistoletto travelled extensively, spending time in Cuba too, to photograph these. He notes that these works should not be seen as a comment on consumerism. 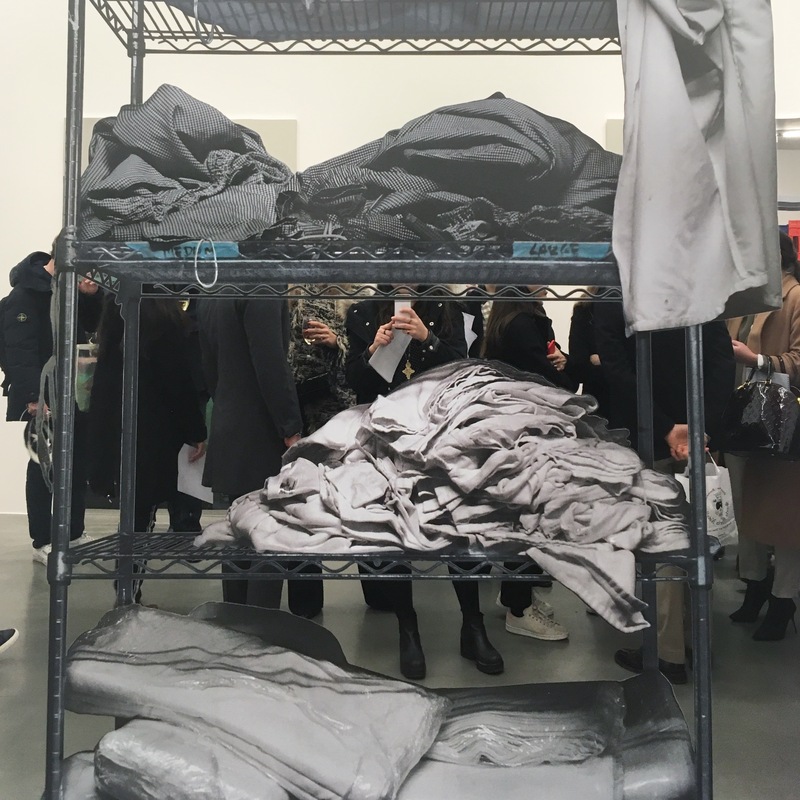 Shelves, says Pistoletto, are where we place items we need. They can therefore beautifully record us as a society, through our practical lives. Lee Ufan’s Relatum – Stage is found outside the Serpentine Gallery until 29 July 2018. 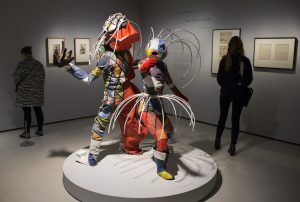 This entry was posted in Art Stuff London, EXHIBITIONS, My week in the art world and tagged Hans Ulrich Obrist, Lee Ufan, Michelangelo Pistoletto, National Portrait Gallery, nicholas cullinan, Serpentine Gallery, Simon Lee. Bookmark the permalink.